We’re getting excited to celebrate Super Bowl coming up in a couple of weeks. Our family will be hosting some friends for an evening of food and fun. This year, we’ll be entertaining both adults and kids. 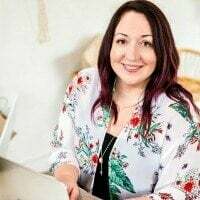 My mission as I prepare for our gathering is to create a fun atmosphere for everyone to enjoy. This includes creating some football-themed party food. I know you and your guests will go wild for this awesome cake! Plan a great party with these 20 Football Party Ideas You’ll Love. Make your next football party a hit with these 15 Easy Dip Recipes. Sam and I headed to Walmart to pick up party items. I love being able to pick up both ingredients for our party food as well as party decorations. With such a busy schedule, I really appreciate the ease of one stop shopping. A simple vanilla cake with buttercream frosting goes up a notch with colorful candy decorations in a football theme. Plus it’s oh-so-simple to create that you can enjoy plenty of time with your guests! Creating a football-themed cake is simple. After frosting the cake, I used yellow, orange and green Skittles for the football field. Surrounding the field, along the sides of the cake, are purple, orange, yellow and red Skittles. “Players” are represented by Snickers Minis chocolates on the field. For goal posts, I melted chocolate by placing chocolate chips in a plastic baggie and placing it in a dish of warm water. Once they were melted, I snipped the corner off the bag and placed a small dab of chocolate on the end of pretzel sticks. Once the chocolate hardened, I placed the goal posts on either end of the cake. Finally, I used some store bought frosting to create goal-lines on the cake. This football party cake is an easy way to create a special treat for guests that everyone will love. It’s simple to create and a great way to get your kids involved in the kitchen. I know it’s going to be a big hit with our guests — and will probably become an often-requested treat for future football parties! 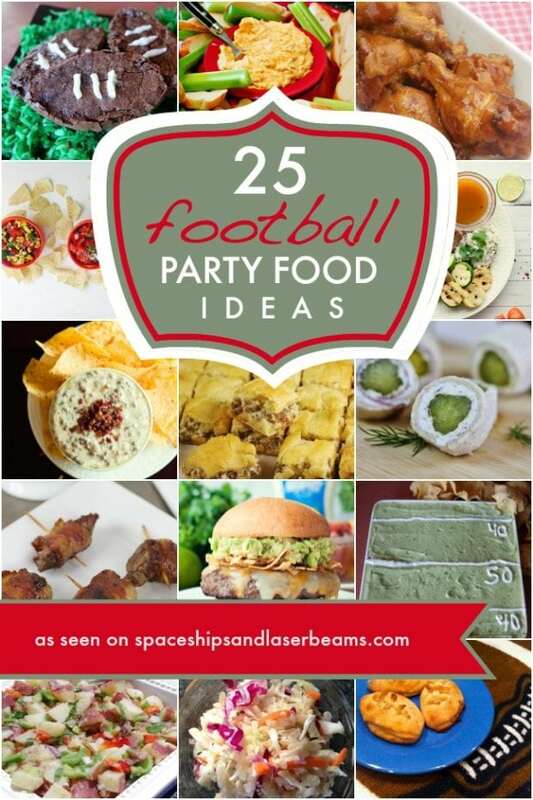 Treat your guest to the ultimate super bowl party with these sources gathered by the team at Spaceships and Laser Beams.